You can generally serve a divorce summons and complaint on a service member by certified mail, return receipt requested. Sometimes, you can do it by registered or certified U.S. mail if the nation where the service member is stationed does not object. However, a service member can refuse service. If the military postal clerk does not send the return receipt back or obtains the wrong signature, you may again send the summons and complaint to the service member, return receipt affixed and postage paid. This time, place your new packet inside a larger envelope and address it to the military postal officer where the member is located. Include a note explaining your unsuccessful attempt to get a return receipt and ask for proper delivery and a properly executed receipt. The SCRA applies to active duty service members, reservists and national guardsmen who are called for a period of more than 30 consecutive days. 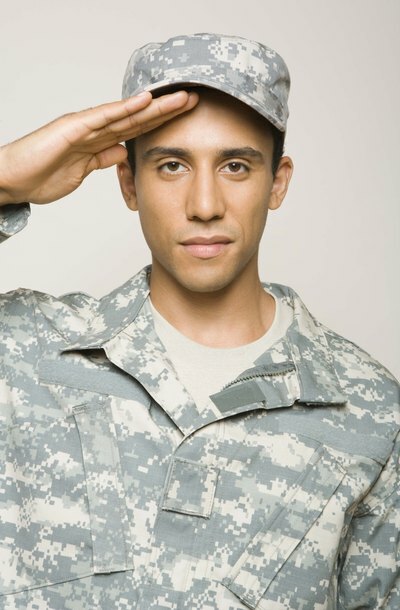 If a service member cannot appear or participate in a divorce or legal separation proceeding, he may request a "stay" of the proceedings under the SCRA. The proceeding may be delayed for the time the service member is on active duty plus an additional 60 days, but the delay is within the court's discretion. Usually, any divorce you get from a deployed service member will have to be uncontested since it is difficult to argue issues while one party is out of the country. This means that the two sides will have to come to an agreement that resolves all outstanding issues. For example, if the couple has children, they must agree on a parenting arrangement, including child support. If they agree to this, a civilian lawyer may be able to file the paperwork for them. Some states have laws protecting service members' child custody rights. For example, some states have barred courts from issuing permanent child custody orders while a service member is deployed. Other laws urge courts to make custody orders revert back to the original order before the parent was deployed. Sometimes a service member has joint custody of the children before deployment, but when she is deployed, the other parent gets a temporary order of sole custody. Some states do not allow courts to use deployment as a factor in child custody cases. When serving your initial divorce complaint, you must comply with the Hague Convention on Service Abroad of Judicial and Extrajudicial Documents if the place of duty is part of the convention. Some countries do not have an objection to service by certified or registered mail. Other countries demand that you serve the documents through a specific government office and translate the documents into the host nation’s language.